If 1+1+1=3, then in movie math Leonardo DiCaprio + Russell Crowe + Ridley Scott should = great film. But Body of Lies just doesn’t quite add up. It is well acted, at times intense, and there’s nothing wrong with the direction or the cinematography, but it is not packing a punch. Crowe’s character is in charge of CIA Intelligence in the Middle East and DiCaprio plays his man on the ground in Jordan. 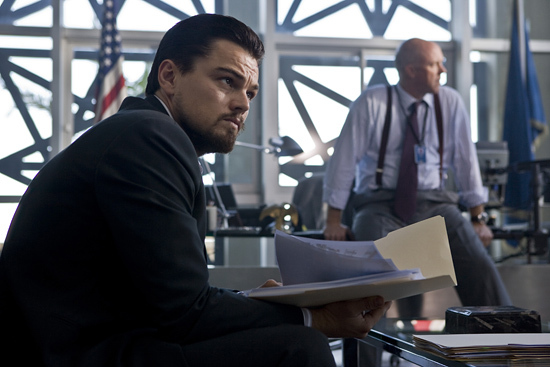 Crowe, who is generally watching the action unfold via satellite sitting inside Langley, only knows his bottom line in the goal to get intel and hopefully apprehend the world’s most wanted terrorists, while DiCaprio is in the middle of the fray and the culture witnessing first hand the personal collateral damage that is brought about on the way to the bottom line. While I would now watch a movie about paint drying if Leo was in it, and I consider Crowe one of the best actors of our time, it has to be the script that falls short this time. The movie seems long, the intrigue expected, and though there is the required near-death experience, there is no unexpected climax. However, the fact that what takes place in this movie must happen every single day in that real world makes you ponder things for a quite a while after you leave the theater. It does make an impression. IF you don’t mind that 1+1+1= 2.5, THEN GO. I’ve had my 2nd temper tantrum in as many days. 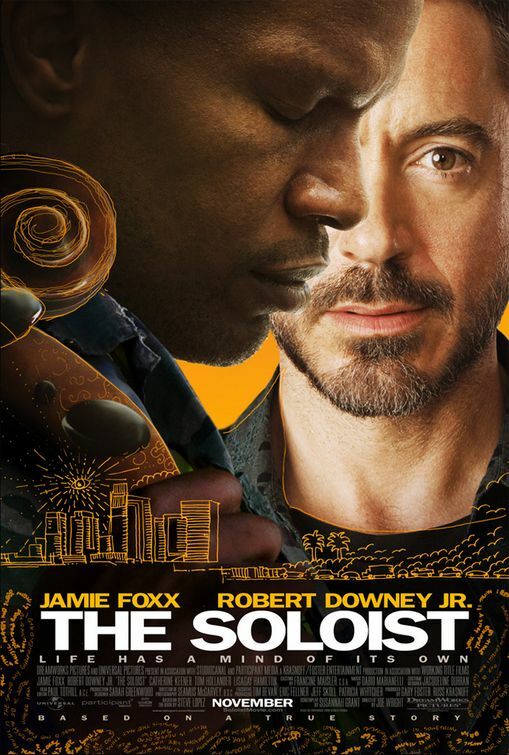 Paramount has decided to push back the release of The Soloist to March 2009. This will successfully eliminate the movie & its stars from the upcoming Oscar race. Various websites have speculated as to why this move is being made. Often a shift like this would be the sign that the studio has lost faith in the film but the trailer has been generating quite a bit of Oscar buzz for its director, stars, & writer. Add to that the fact that director Joe Wright is coming off his success with Atonement & the phenomenal year Downey is having & it doesn’t make a lot of sense. I think this could be a mistake & the movie could lose some of the momentum behind it. Besides, Oscar worthy films released in spring are often overlooked come voting time. Kristopher Tapley at www.incontention.com speculates that Downey’s lack of availability to promote the film due to his shooting schedule with Sherlock Holmes might have played a part in all this. First Harry Potter, now this…stupid movie studio executive people. Here are some recent (& not so recent) tidbits on casting upcoming projects. Enjoy. New News – Iron Man 2: So reports are out that Terrence Howard is not returning to Iron Man 2 but will be replaced by Don Cheadle. My first temper-tantrum like reaction is, “NOOOOOOOOOOO! NOOOOOOO….. wait…Don…Don Cheadle…….that….that could be…..cool.” While Robert Downey Jr’s performance & Jon Favreau’s direction & commitment to invisible CGI were the top reasons for Iron Man’s success, Downey was also backed up by a solid supporting cast. I enjoyed Howard as Stark’s friend & military liaison James Rhodes, especially seeing a high ranking colonel with his strange little girl voice. But let’s face it, Don Cheadle is an amazing actor & can easily fill & maybe even improve the role. While I will miss what Howard would have done as War Machine, I very much look forward to seeing what Cheadle will do. 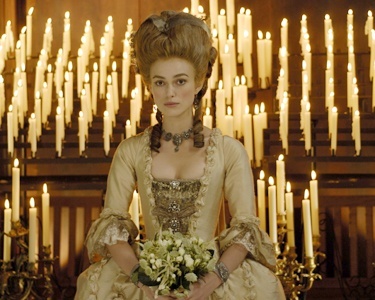 Hoping for something a little more historical or, in these times, political, or even something as different as Sofia Coppola’s Marie Antoinette, The Duchess was somewhat disappointing. Based on the true story and adapted from the Amanda Foreman novel Georgiana, the Duchess of Devonshire, the story quickly dissipates into soap opera love stories rather than epic romances. At her first dinner party engagement the Duchess voices her political views and gives hope for a more intelligent and meaningful movie, but just as abruptly as the Duke leaves the table apparently bored with political rhetoric, the script leaves behind depth and underlying story. Kiera Knightly gives yet another impressive performance, and Dominic Cooper is proving that he could quickly rise to the same ranks. Ralph Fiennes can always make you love him or hate him and gives another stellar performance as the Duke of Devonshire. With such extravagant sets, wardrobe, and actors I would have thought that the script, camera work, and continuity would have been better, but good acting goes a long way. As the love triangles unfold, it just makes a girl thankful not to be married into royalty, especially in the 1700’s. IF you are looking for yet another period piece about adultery and bearing a male heir with talented actors doing their thing, THEN GO. 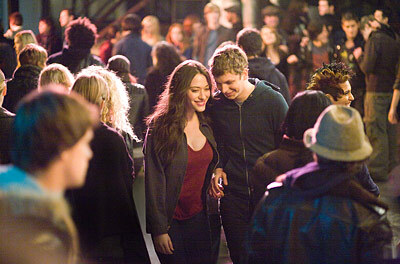 In the refreshing generation of movies like Juno, Nick and Norah’s Infinite Playlist is good, but not great. Two high schoolers dealing with the usual heartache of the teenage years find what they are looking for in each other during one night of trying to prove who they are to the rest of their teenage world. Michael Cera is as endearing as ever, immediately likeable, and plays confident nerd superbly. Up-and-comer Kat Dennings is all at once vulnerable and strong and delivers her down to earth but quippy lines with relatability. While music is a definite factor, it doesn’t play as big of a character in the movie as much as I would have hoped given the title. I did however pick up a few possibilities for my iPod. The supporting cast also adds something to the layers, including drunk friend Ari Graynor and always fun Aaron Yoo. IF you’re satisfied with clever lines, new actors on the scene, and the latest version of John Hughes teen-angst, THEN GO. In typical Nicholas Sparks form, Nights in Rodanthe delivers all the required chick-flick elements, although a friend of mine has recently termed movies of this particular type “Estrogen Movies”, and this one definitely falls into that category. Two strangers are thrown together in the midst of their respective mid-life crises and, wait for it, fall in love. Shocker. While Richard Gere and Diane Lane give good performances, the script just about pulls them down like the hurricane in the movie that represents “the storms of life.” Mae Whitman, who plays Lane’s teenage daughter, is one bright spot showing that the memorable performances she’s given since the age of five were no fluke. The Inn in which the two have their 5-minute romance is gorgeous but I don’t believe the actors ever set foot there, as the lighting indicates that even the ocean was green-screened in. IF you are waiting for a good rental, or perhaps actually enjoy the sappy melodrama of a Nicholas Sparks’ script, THEN GO. I’d been wanting to see this quirky little British movie for several years. It has an amazing cast & looked like the hairstyling version of Strictly Ballroom, a movie I love. Blow Dry stars Alan Rickman as Phil, a hairstylist in the small British town of Keighly, who was once an international hairstyling champion. He now owns a dumpy barber shop where he works with his son, Brian, played by Josh Hartnett. Phil, has not competed in 10 years since his wife, Shelley, ran away with his hair model, Sandra (Natasha Richardson & Rachel Griffiths). Shelly and Sandra now own a salon in the same town. The storytellers kick things off with an announcement that the international hairstyling competition is coming to Keighly and the revelation that a character has cancer, then sit back and let the madness ensue.